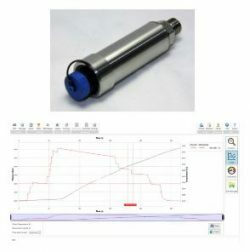 Find conversions for the N/mm² (newtons per square millimetre) pressure unit. What is conversion from 1 N/mm² to kg/cm²? 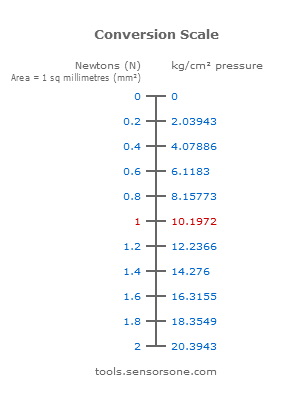 1N/mm2 (newtons per square millimetre) = 10.1972… kg/cm2 (kilogrammes force per square centimetre). How to convert 3.0N/mm² to kg/cm²? There are 10.1972… kg/cm² to 1 N/mm² (Newtons per square millimetre), therefore 3 N/mm² equals 30.5915… kg/cm². Use this tool to convert more values from N/mm2 to kg/cm2. 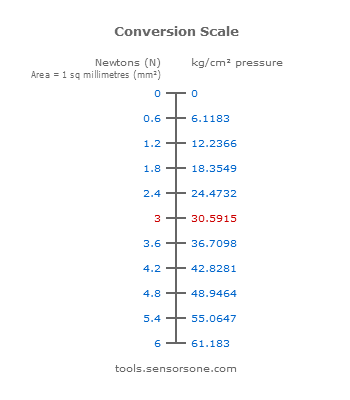 N/mm2 units have the same value as MPa (Megapascals) units, so you can this table to look up MPa (n/mm²) to kg/cm² conversions. Send us your enquiry for a product associated with this N/mm² – Newton per Square Millimetre Pressure Unit page, and get assistance with selecting a product for your application.